The first phase of the national project MINnD was conducted from April 2014 to January 2016. The research program was declined in this first phase in six use cases which work will feed the development of theme 1 (practices developments) theme 2 (experiments) and theme 3 (information structuring). The use case #1 (UC1) “Standardized use cases applied to infrastructures” aims to the french transcription of buildingSMART “BIM Uses”, to define the scope of each use case and specification of functions or systems taken into account, and therefore of component objects (geometry and attributes). 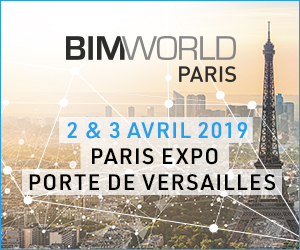 The work of the first phase allowed to draft relevant proposals of description of “BIM Uses” to be integrated into a “BIM execution plan” dedicated to an infrastructure project. The use case #2 (UC2) “Pavement Life Cycle” relates pavement of linear infrastructure, from the point of view of modelling, and its development throughout the life cycle. A data model associated with the pavement, integrated in the digital model of a road infrastructure project, was defined exhaustively for the different phases of a project. The use case #3 (UC3) “IFC Bridge” focused on IFC-bridge model which is an extension of IFC for bridges. During the first phase, in cooperation with the openINFRA initiative (buildingSMART International working group), current obstacles to the use of the IFC-Bridge were identified and an action plan has been drawn up to remove barriers that hinder the deployment of this extension. The use case #4 (UC4) “Project review” allowed to share a vision of the proceedings of a project review, according to the different stakeholders involved in the infrastructure construction, at different phase of the project lifecycle. The existence of a BIM process and a digital model representing the construction is a high potential tool in this context. The use case #5 (UC5) “Cost modelling” aims to study how to model the overall cost of infrastructure, and its management in the different phases of a project. First phase of MINnD allowed to identify the different stages of the life cycle (design, construction and operating) that interfere with BIM, and for each stage, what data will be needed. The use case #6 (UC6) “Infrastructures in their environments” examines the particular case of interaction between infrastructure and environments at different stages of a project. The objective is to study how these studies integrate or could integrate BIM. Two cases were considered in phase 1: noise-related studies, and studies related to eco-bridges and environmental compensation measures. In addition to these Use cases, the MINnD “Observatory” piloted a state of the art and an exploratory work of what could be an observatory of BIM in the construction sector. Four major types of observatories have been illustrated, and represent four major functions of what could be a BIM observatory in construction. It allows to achieve a conceptual diagram of an observatory. “Legal and contractual aspects” (theme 4) are also addressed in MINnD. The work of the phase 1 led to the establishment of a study on contractual arrangements in which BIM process must be inserted. Other considerations of this theme deal with relationships between BIM and public procurement, with intellectual property applied to copyright and data, and finally with the missions, responsibilities and associated consequences in terms of insurance. All these working groups issued deliverables that have been made available to all MINnD partners and, partially, to the whole civil engineering community.